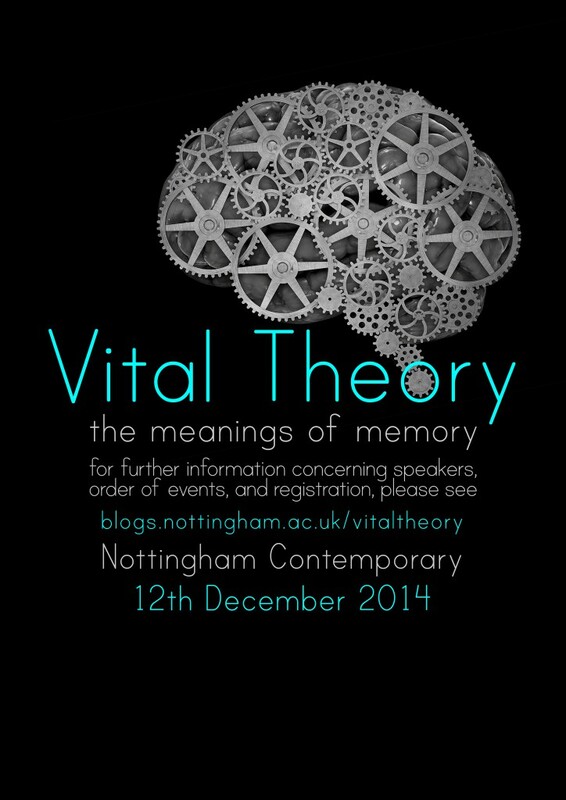 Vital Theory is an annual symposium organised by postgraduate students at the University of Nottingham’s Centre for Critical Theory. Now in its fourth year, participants will present on ideas of memory and commemoration. In contrast to reflections on the past, speakers also look to the future and consider how the digital age might affect our right to be forgotten. With keynotes by Tracey Potts and Andrew Goffey, the day culminates with an ‘anti-market’, where theorists are advertised, concepts are traded and knowledge is shared. Vital Theory blog is being updated. Please come back later. Meantime, please visit our event on Facebook for updates.